1. No matter how little I eat or how much I run, I will always look about 4 months pregnant. 2. My husband will only get hotter with age as I will progressively wrinkle, sag and scare teenage boys. 3. I will never have to set my alarm clock ever again. 4. Due to my deprived communist childhood, I actually like watching kid’s shows (still can’t stand Barney though). 5. 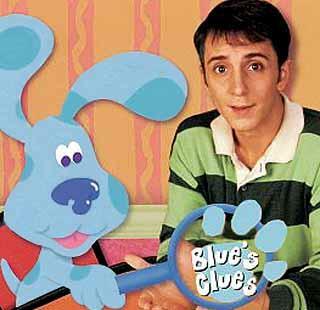 The guy from Blue’s Clues is kind of hot. 6. I know “Good night moon” by heart and hum tunes from Baby Einstein videos. 6 1/2. I just had to google “Einstein” to see how to spell it. 7. My daughter will hate me one day if only for a while. 8. I have it so much easier than my mother did. 9. I would rather be home with my tiny family than out doing pretty much anything else. 10. One day her teacher will say “I need to speak to your mother”…and it will be ME.